Grazia has published a feature on the Punchbowl Mosque celebrating its central role in the Sydney Architecture Festival’s focus on Sydney’s Brutalist history. This year’s program pivots away from the inner city precincts of years past to focus on a new festival hub in Parramatta and the unveiling of a revelatory new architect-designed mosque in the suburb of Punchbowl. The latter is very much the drawcard attraction of the festival: a contemporary reimagining of a place of worship steeped immeasurably in tradition by the Sydney-based architect Angelo Candalepas. 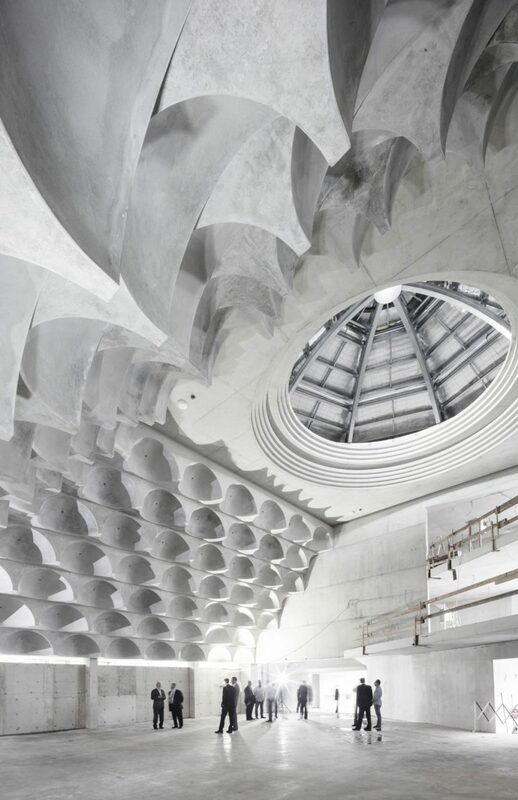 Australia’s newest mosque has been largely cast from raw concrete and features hundreds of half domes, each of which has been punctured with pinholes of light and inscribed with the 99 different names for God in Islam.